Woodend Primary have a whole school blog that can keep you up to date with rolling news everyday. You can subscribe to this blog and you will get new posts directly to your email once a day. You can do this by going to http://woodendprimaryschool.edublogs.org. There is a subscribe button on the bottom of the screen and if you don’t see that you can scroll to the bottom of the posts and fill in your email details there. Given that it comes up every year and is a constant source of frustration for parents and caregivers dropping and picking up their children I thought it would be timely to let new parents know about some history on parking at the school and clarity how it should work. Previously the school had a kiss and go for morning drop offs and afternoon pick ups on Edward Beck Drive. Particularly in the afternoon there was a concerning amount of double parking, cars waiting around the pedestrian crossing and generally some dangerous driving activity. The council was consulted and they monitored the area. Attempts were made by staff and even police to alleviate congestion however they were faced with a lot of abuse. So the decision was made by Governing Council and Marion Council to trial ceasing kiss and go in the afternoon. Whilst there is still concerns with the after school pick up it has been improved. So Woodend Primary School has a kiss and go area in the morning between 8.30-8.55am so there is NO parking in this allocated section of Edward Beck Drive. This area in the afternoon is parking only. In the mornings you are able to get out of your car to assist your child/children get out of the car but your car should not be left unattended for any period of time and your should move out of the area as soon as possible being mindful of other vehicles and children. In the afternoon a teacher is on duty on the deck near this area to ensure the safety of children until they are picked up. There is a teacher on duty until 3.20pm so it is not necessary to be ready and waiting at 3.05 particularly for older children. It may be helpful to arrange with your children that you will come 10-15 min after the bell. It is also helpful to remind children of the procedure for if you are running late and make them aware that they should go to the front office so that staff can contact you. The car parking area off Edward Beck Drive is for staff only. A quick note also in regards to Bathbank Crescent. The parking bay is for the Kindergarten only and should not be used as a kiss and go. There are many young children in this area so it is dangerous to have numerous vehicles moving in and out. The Woodend Children’s Centre have instigated a flexible pick-up time to help alleviate congestion along Bathbank. The speed limit past the school is 25km/h at all times students are present, including for after hours sport and school events. School crossing are located on Edward Beck and Young Street. Please encourage students to cross the roads at these points. The safety of children and others using the area is the priority. Please be considerate, patient and respectful of others. 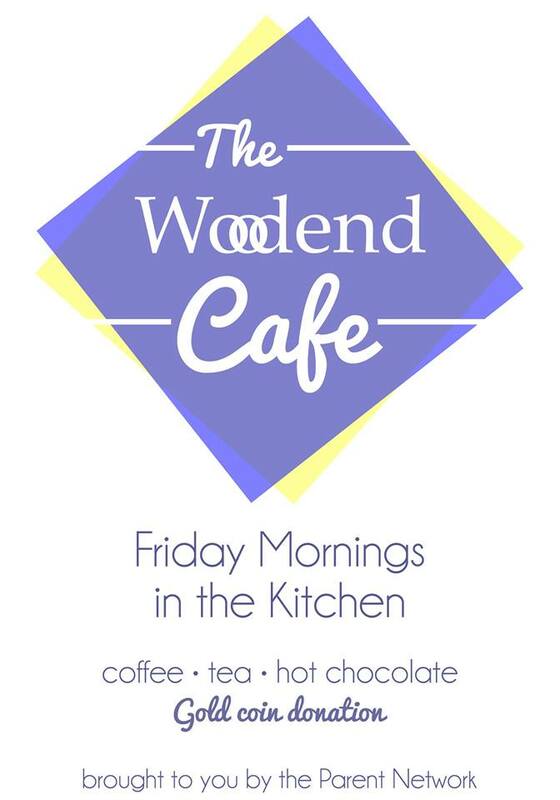 The Woodend Primary School Parent Network runs a cafe in the school kitchen on a Friday morning from 8.30am. Tea, coffee and hot chocolate are available … and sometimes you might even get lucky enough to get a biscuit or two. Gold coin donation which goes towards a cause or charity of the parent networks choice. It’s a great place to meet some other parents and younger children are welcome. You can enter the school kitchen from the main doors straight off Edward Beck Drive in the building that also houses the library, OSHC and canteen.